You know we are big fans of the craft sharing website Cut out and Keep. Well a few months ago they asked if I would share my Craft Room with their blog readers and of course I said yes. 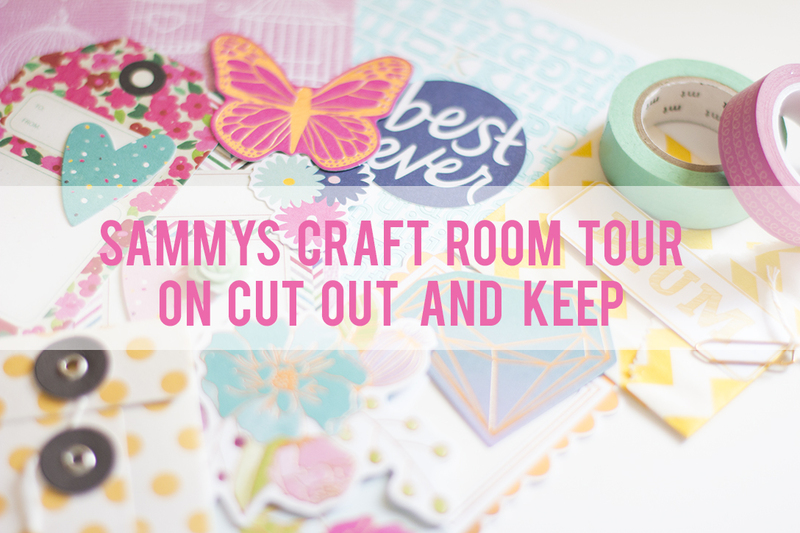 Head over to the Cut Out and Keep blog to have a nosey around my craft room and sewing space. It was a pleasure to chat with Cat about my favourite place in the whole world. Click the picture above to visit the tour. I hope you all enjoy having a little look around and have a lovely weekend. P.S I have joined Snapchat @sammytvr if you want to add me and see behind the scenes stuff from the blog and Sew Crafty too. Still getting used to it though so be gentle!